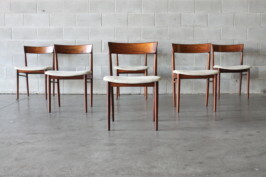 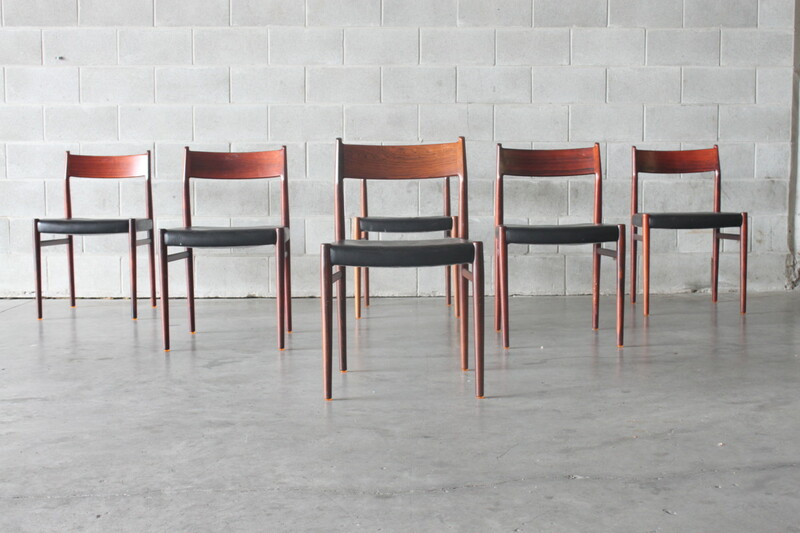 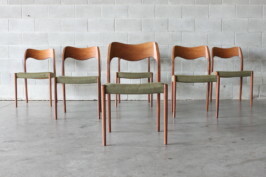 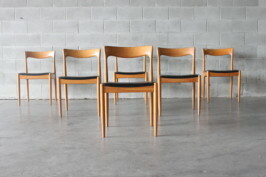 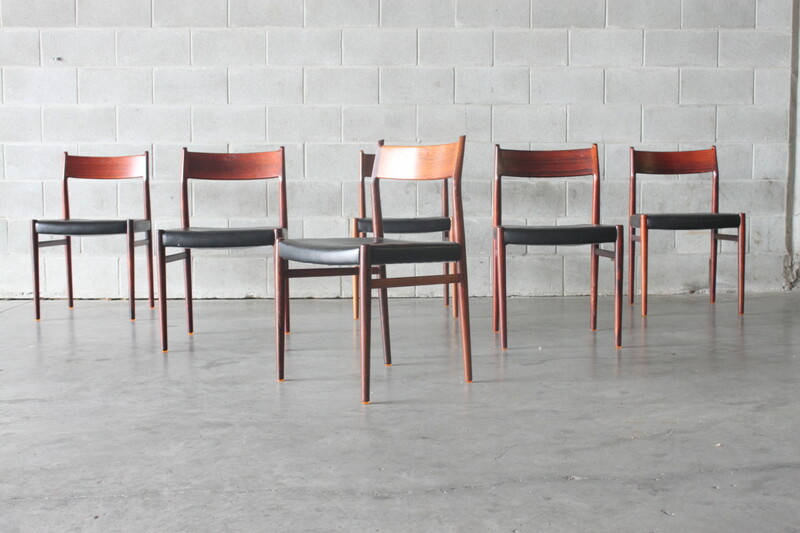 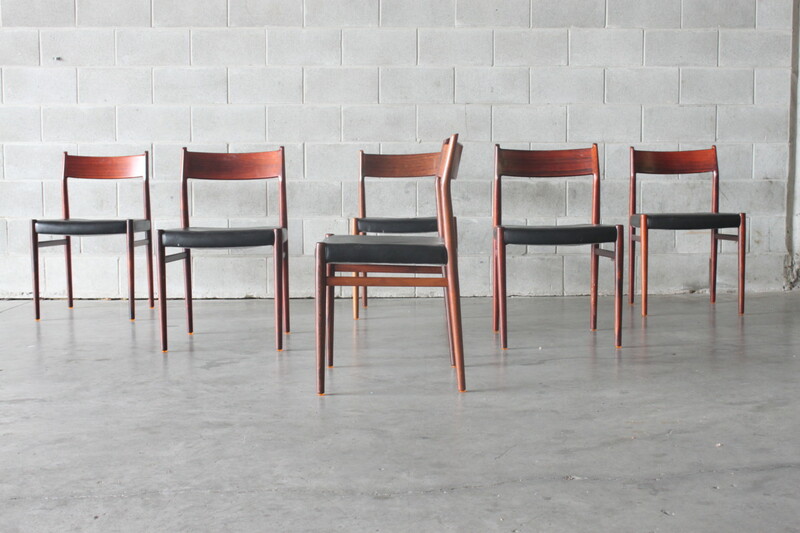 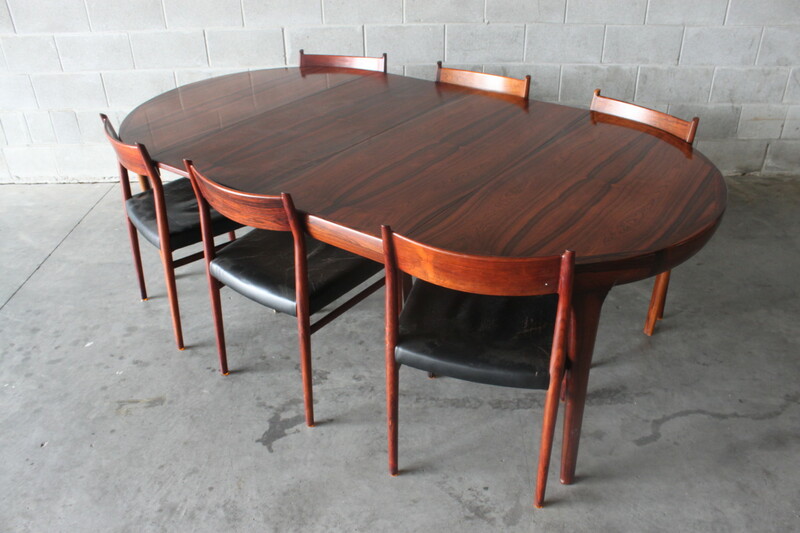 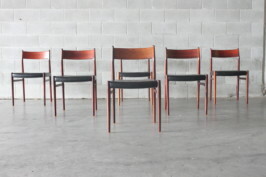 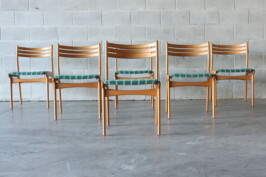 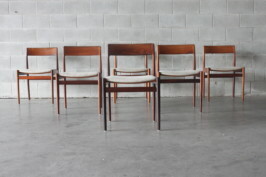 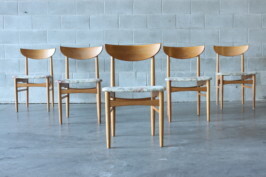 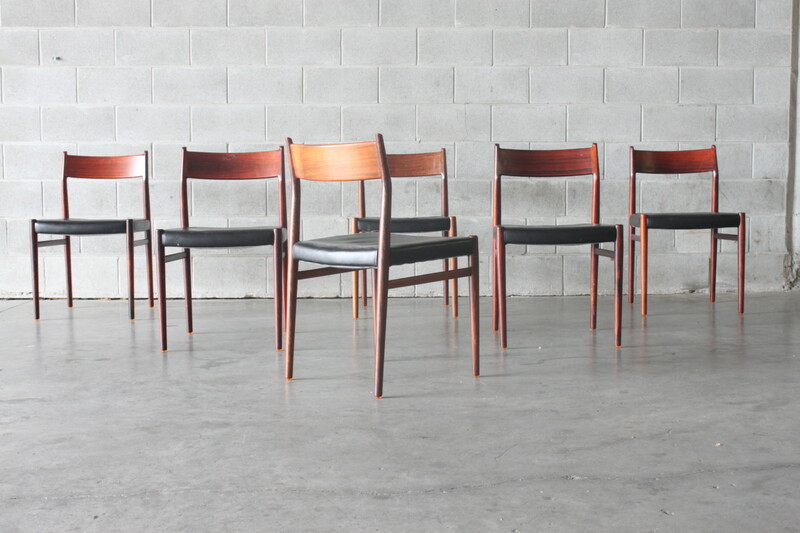 A rare set of six dining chairs by one of Denmarks greatest designers Arne Vodder. 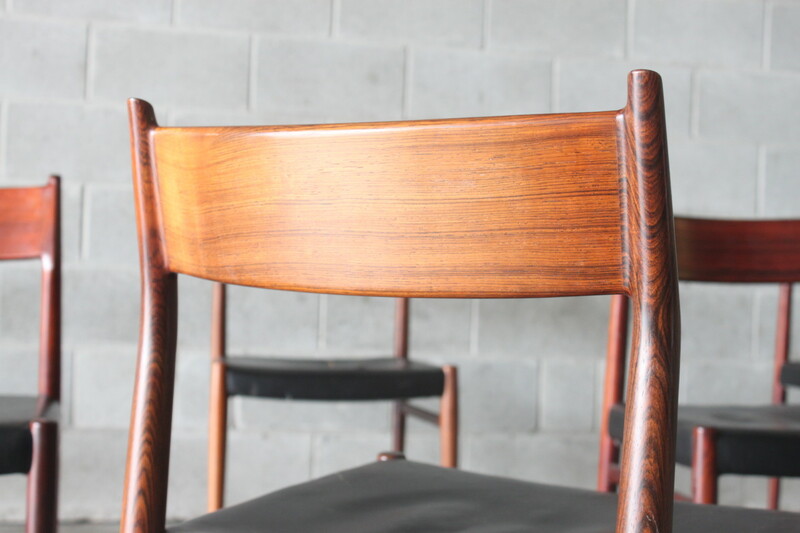 These are model #418 in Brazilian rosewood and manufactured by Sibast. 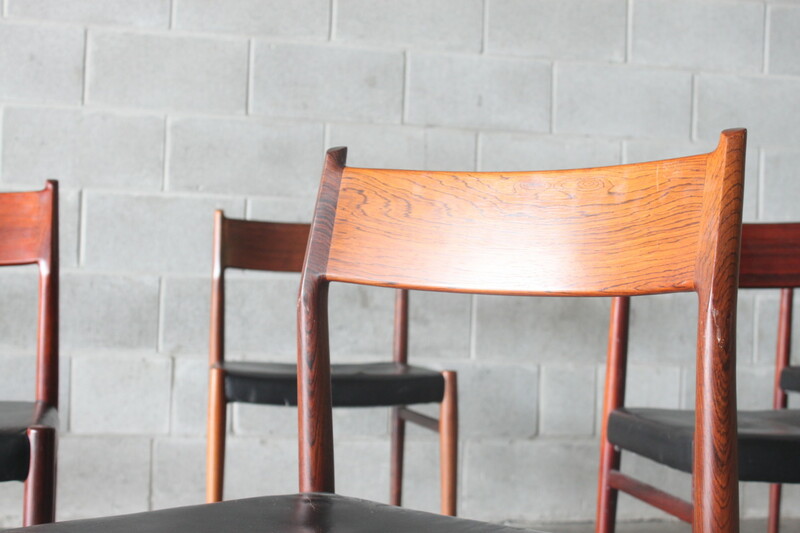 Incredible quality and condition with nice sculptured back rests and very solid construction and they have the original black leather. 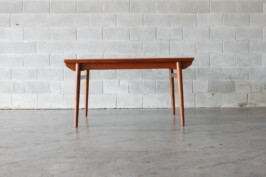 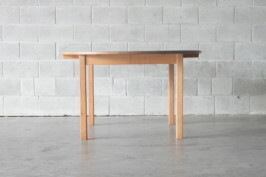 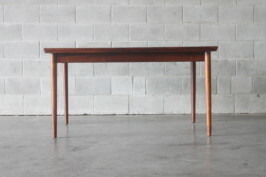 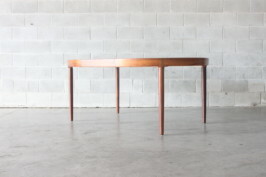 Pair this up with our Ib Kofod Larsen round banquet extension table or if you have a smaller dining area pair it up with our rectangular extension tables by Gunni Omann.